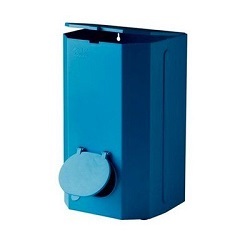 Wall mountable dispenser designed to hold both 650 mL and 850 mL PPS liners. Holds at least 50 of either size. Easy access for top loading and dispenses one-liner at a time. 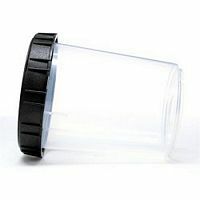 Keeps liners clean - neat - organized and free from contamination. 3M PPS Large Cup and Collar is a hard cup and collar set that supports and holdsthe 3M PPS Flexible Liner used in the 3M Paint Preparation System. 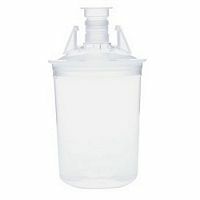 Kit contains 25 lids with 200-micron filters - 25 liners - and 10 sealing plugs.Graduated measurement to 28 oz/840 mL (with mix ratio film insert). Maximum capacity of 32 oz/950 mL when filled to within 1/8 inch of rim. For use with PN16023 or 16124 (H/O pressure cup). 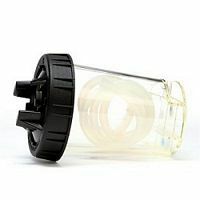 3M PPS Dispenser is a wall-mountable unit that makes supplies such as lids and liners for the 3M Paint Preparation System PPS readily available. 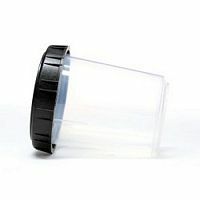 This storage accessory conveniently dispenses supplies one at a time - while keeping the remaining supply clean and safe from contamination. 3M PPS Cup and Collar is a hard cup and collar set that supports and holds the 3M PPS Flexible Liner used in the 3M Paint Preparation System. 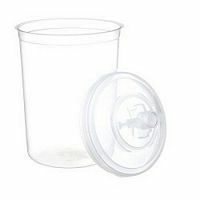 Smaller than our standard size - but larger than the mini - the 3M PPS Midi Cup is ideal for two panel repairs that require 13.5 fluid ounces (400 ml) of material or less. 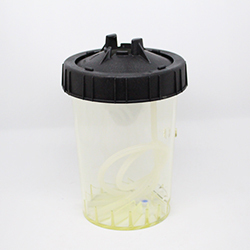 3M PPS Mini Kit contains 50 disposable lids with 200 micron filters - 50 disposable liners - and 20 sealing plugs. 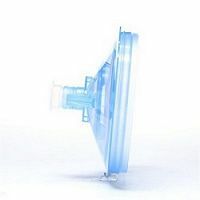 The 200 micron filters are recommendedfor traditional solvent-based paint or primer applications. Designed for use with part number 16115. 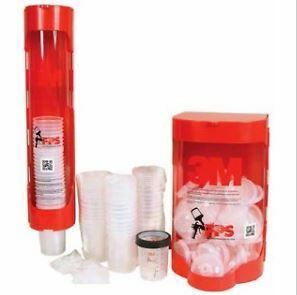 3M PPS Mini Cup and Collar is a hard cup and collar set that supports and holds the 3M PPS Flexible Liner used in the 3M Paint Preparation System. If filled to the top - this cup will hold 6 fl oz. (177 ml). 3M PPS High Output Pressure Cup is intended for use in place of metal cups on 3MAccuspray Guns. The 3M PPS Type High Output Pressure Cup is designed for high viscosity - thick liquid materials that require Pressure Assist in a gravity-filled delivery system. 3M PPS High Output Pressure Cup is intended for use in place of metal cups on 3MAccuspray Guns. 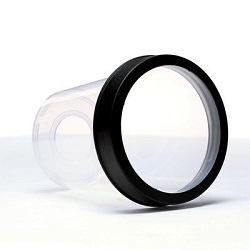 The 3M PPS Type High Output Pressure Cup is designed for high viscosity, thick liquid materials that require Pressure Assist in a gravity-filled delivery system. Dispenses supplies for the 3M Paint Preparation System. Offers exceptional convenience to access supplies. 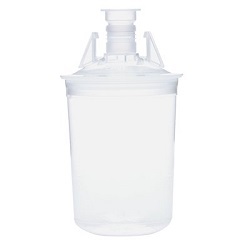 Keeps supplies clean - neat - organized and freefrom contamination.